May 27, 2010  The U.S. government on Thursday is issuing a new estimate on the size of the oil spill in the Gulf of Mexico. May 27, 2010  Attorney General Eric Holder met Wednesday with police chiefs from more than a dozen cities across the country to talk about Arizona's new immigration law. The measure empowers police to question and arrest people suspected of being in the country illegally. The chiefs say it will cause distrust between immigrant communities and their officers and perhaps hamper police work. May 26, 2010  At least 30 people have been killed in street battles in Kingston, Jamaica, between masked gunmen and police backed up by thousands of troops. The gunmen are fighting to prevent the arrest of reputed drug kingpin Christopher Coke. He's wanted in the U.S. on drug charges. May 25, 2010  South Korea says it will exercise its right to self defense in case of further aggression by North Korea. The South accuses North Korea of torpedoing one of its navy ships in March. The South has launched a psychological campaign against Pyongyang showing North Koreans how much better life is in the South. May 24, 2010  The Pakistani investigation of the Times Square bombing plot has uncovered what is being described as a network of people motivated by resentment toward the U.S. Among those arrested is a business executive from a well-established catering firm in Islamabad. He's been taken into custody as part of a widening circle of possible links with the chief suspect in the bombing attempt, Faisal Shahzad. May 22, 2010  In March, Vladimir Putin's party lost the mayor's race in the city of Irkutsk in a landslide. But frustration with the prime minister only goes so far. If there's a growing desire to show electoral independence, there's not yet a groundswell of support for revolutionary change. 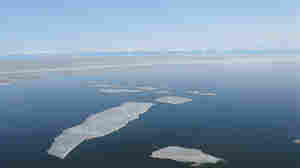 Russians Debate Fate Of Lake: Jobs Or Environment? May 10, 2010  The decision to reopen a paper mill on the shores of Russia's Lake Baikal, a U.N. World Heritage site, pits environmental concerns against economic ones. Supporters say the mill is safe and the jobs are necessary, but environmentalists fear for the lake's ecosystem. April 28, 2010  NATO foreign ministers gathered for a summit last week in Tallinn, the seaside capital of the former Soviet state of Estonia. One of the town's biggest attractions is a pharmacy dating from the 15th century that deals in herbs, wine and drugs to make you fall in — and out of — love. April 26, 2010  The Soviet legacy makes questions of trust and faith in government entirely different in Russia than in the United States. 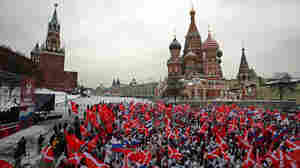 Acceptance of the government is a given, even though most Russians don't believe in the political system. April 11, 2010  Although daily life is starting to return to normal after Wednesday's bloody uprising in Kyrgyzstan, many of the hundreds injured during the revolt are still fighting for survival in the country's under-resourced hospitals. 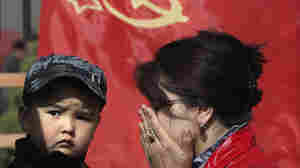 April 9, 2010  Life begins to return to normal in Kyrgyzstan after two days of violent protests led the country's president to flee the capital, Bishkek. But President Kurmanbek Bakiyev has not resigned, and the self-declared interim government warns there could be more violence. April 9, 2010  The leaders of this week's bloody uprising in Kyrgyzstan are trying to get a hold on their control of the country. The president has fled but refuses to relinquish office. In the capital Bishkek, groups of vigilantes tried to stop looters. April 8, 2010  On the streets of Kyrgyzstan's capital, Bishkek, there is a general sense of lawlessness. After bloody protests, the president has fled, the opposition says they are now in charge, and gangs of looters are wandering the city. The political upheaval has frustrated Kyrgyzstan's citizens, as well as the United States, which relies on a military base in the country to fight the war in Afghanistan. April 8, 2010  Kyrgyzstan's opposition has taken over the government headquarters, the site of deadly clashes with police, and is in control of the government. The president has fled. April 2, 2010  A Chechen militant group has claimed responsibility for Monday's double bombing on the Moscow subway that killed dozens. There were also attacks in Dagestan. 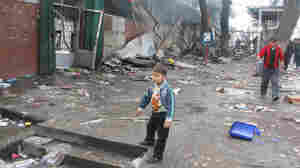 Analysts say the bombings are part of the long-running campaign for independence by militant Muslims in Russia's North Caucasus region. It's an impoverished area that has become a battleground involving an Islamist insurgency.